CHI conference attendees can see the presentation of the paper “Accountable Artefacts: The Case of the Carolan Guitar” in the Physical and Digital Collections paper session in room LL21C at 16:30-17:50 Monday 9 May. 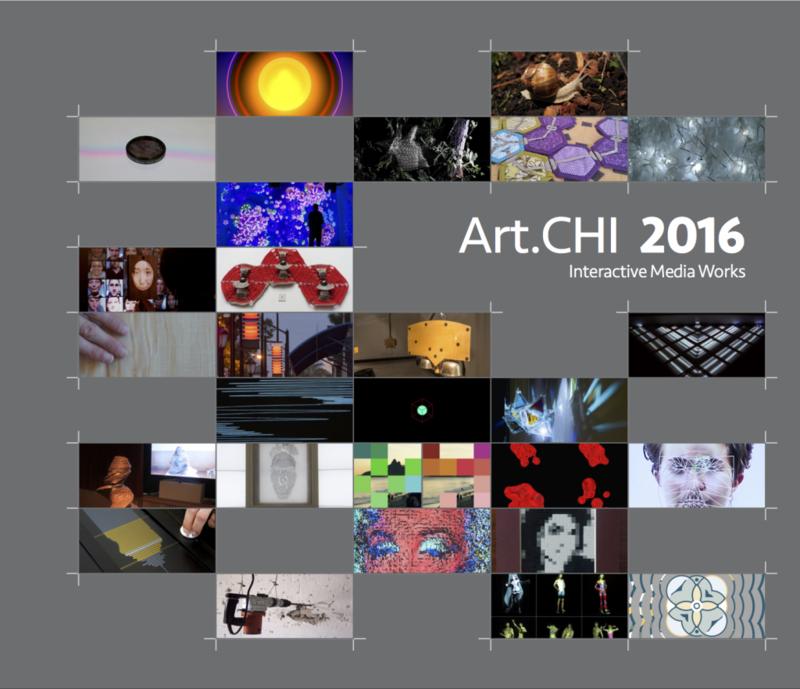 The Carolan Guitar will also be part of the “Interactivity Exhibits”, booth 42. 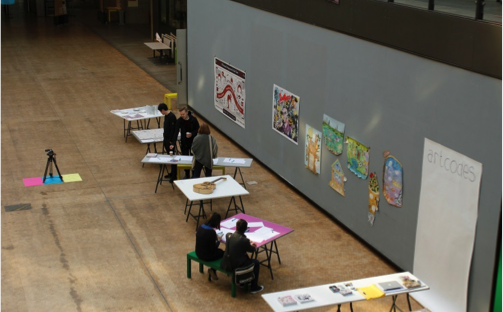 Artcodes have contributed a variety of activities to Central Saint Martins Research Fortnight, which took place in the Central Saint Martins building in Kings Cross. 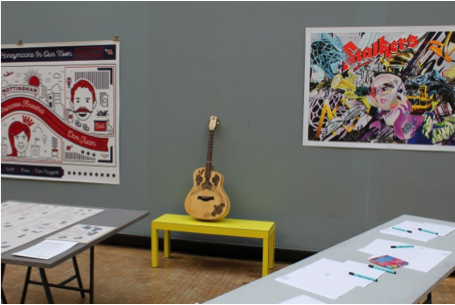 From 14th to 16th March, we exhibited interactive artefacts in the main hall, and taught passers-by to draw on their own Artcodes. 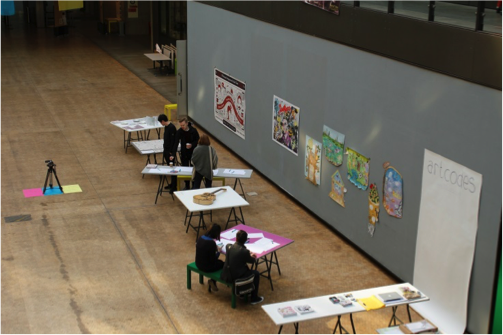 The primary audience was staff, students and visitors; CSM teaches a wide range of creative courses in which Artcodes might be used, including Ceramic design, Communication design, Graphics, Photography, Performance and Fashion. In teaching attendees how to use our technology, we hope that some might choose to use it in future projects and explore a variety of further media and material. 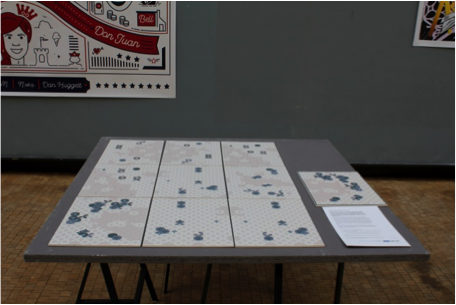 To illustrate the broad range of possibilities that exist with a flexible topological marker technology such as Artcodes, we brought along artefacts produced in a variety of media, all of which embedded scannable patterns with a broad range of aesthetics and purposes. 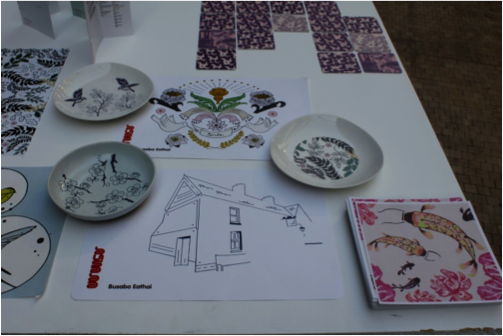 These included coasters, ceramic bowls, a hand-crafted guitar, some large public illustrations and a display composed of individual ceramic tiles. Some of these embedded into individual artcodes, others embedded multiple codes; all had been produced for a specific purpose during prior work by the project. 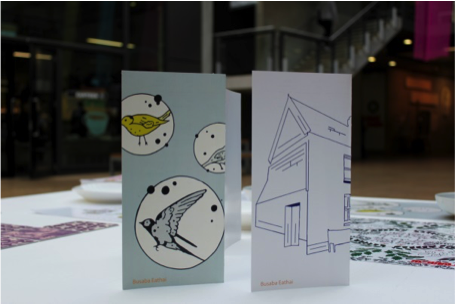 As part of the research fortnight, members of the Artcodes team also gave talks and lead discussions. 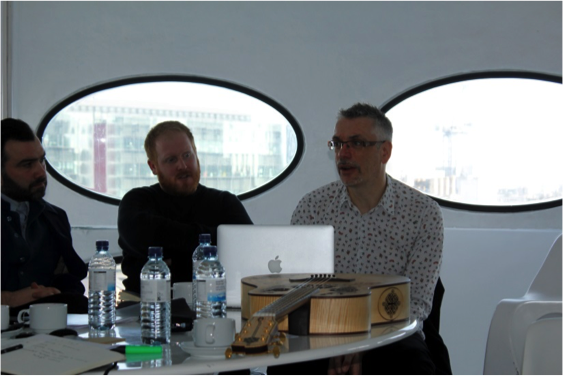 Professor Steve Benford talked about the Internet of Things, illustrated by the Carolan Guitar, whilst Professor Tony Quinn talked about designs role in the internet of things. These were attended by those involved in research across University of the Arts and leading practitioners and designers in the internet of things.